"FOR EVERY EFFECT THERE IS A ROOT CAUSE. FIND AND ADDRESS THE ROOT CAUSE RATHER THAN TRY TO FIX THE EFFECT AS THERE IS NO END TO THE LATTER." Functional medicine is common sense medicine. Rather than working on a downstream model, functional medcicine works on an upstream model, which allows us to identify root causes and strategize with you to find sustainable solutions. 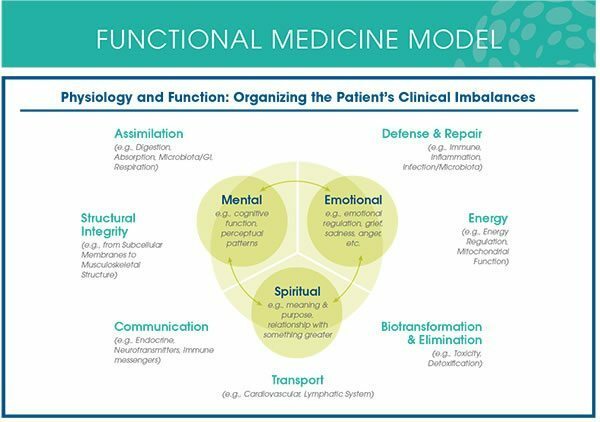 Functional medicine recongizes the multiple factors that may be playing a role in your emotional wellness including gut health, nutrition, physical activity, inflammation, immune function, detoxification, core beliefs, social history, and current stressors among others. We believe that functional medicine is the best way to approach emotional wellness and are eager to share its power with you!